ear Miracles: For several years now we have celebrated Omen Days together. This is a wonderful and fun practice to participate in that leads to an increased awareness you can bring with your throughout the new year! The Omen Days are an ancient practice around the ecclesiastical celebration of Epiphany. They were popularly known as the 12 days of Christmas and during each day one was encouraged to pay special attention to signs and omens around them in the belief that what they perceived would be a good indicator for their next year. Begin the process on December 26th which corresponds to the next month of January, continue through January 6th which corresponds to December of the following year. You can do this in as spontaneous or deliberate manner as you like. Last year I simply paid close attention to what was happening around me and kept a log. You could also pull a tarot or oracle card or work with another divination device of your choosing to get a more streamlined message. Keeping some sort of written record is obviously useful because you may not remember what your omen for January 6th was by the time you hit the month of December next year. 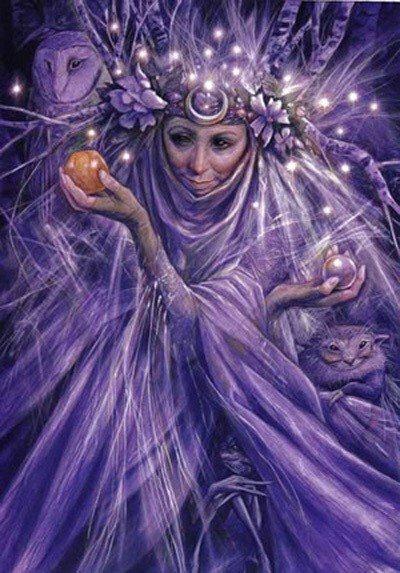 This entry was posted in Divination and Dreams, Sacred Arts and tagged celebrating seasons and holidays, faeries and fairytales, Folk Magic/Music/Lore, Omen Days, spirit work, Twelve Days of Christmas. Bookmark the permalink.